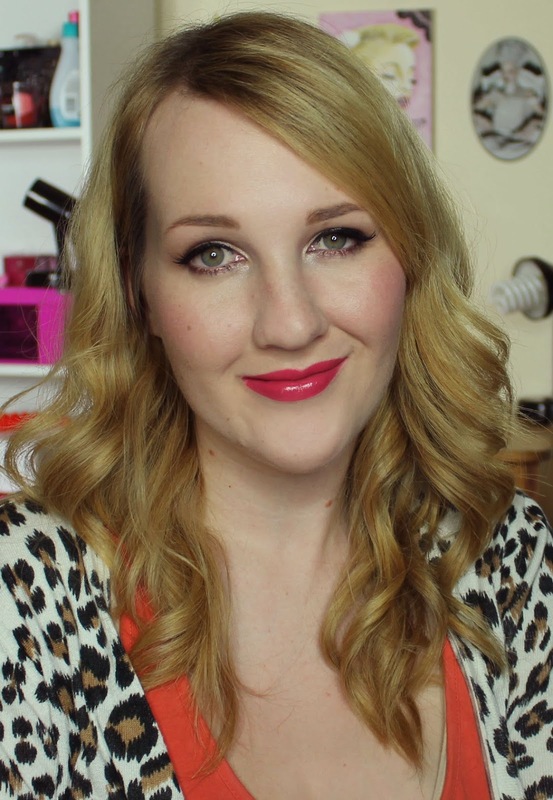 Here's another set from Revlon to grab before it's gone! 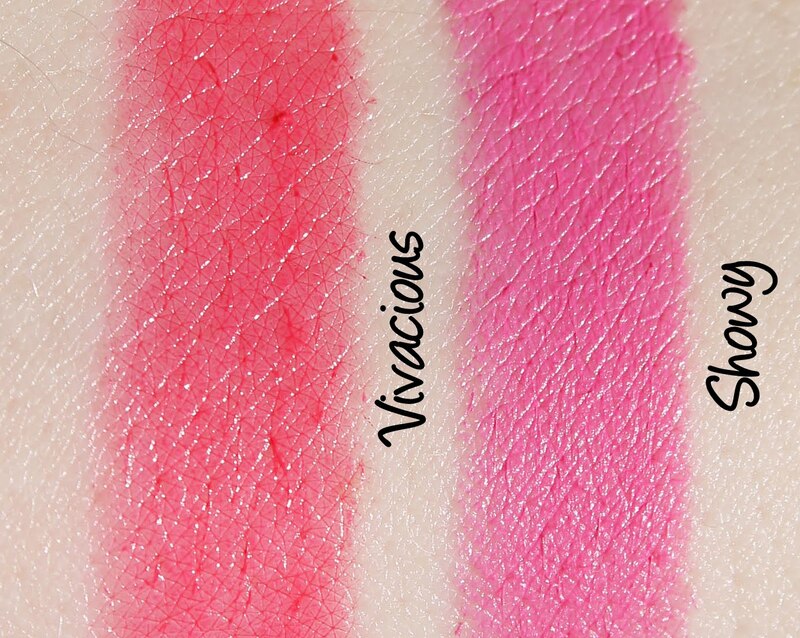 As with the Whimsical set (reviewed here), the Perpetual Bliss set contains permanent shades from the Colorburst Matte Balm and Lacquer Balm lines at a heavily discounted price. This set was selling at my local pharmacy for $24.99NZD (individually the Balms sell for $20.50) but now that the holidays are over, it has been popping up on clearance, making it even more of a bargain! The Lacquer Balms and Matte Balms come in a twist-up 'chubby stick' style pen with colour coordinated packaging. I love that the finish is also matched to the formula - matte for the Matte Balms and shiny metallic for the Lacquer Balms. They all have a mint scent which leaves lips with a slight cooling sensation for the first few minutes of wear and both formulas are intended to be moisturising. 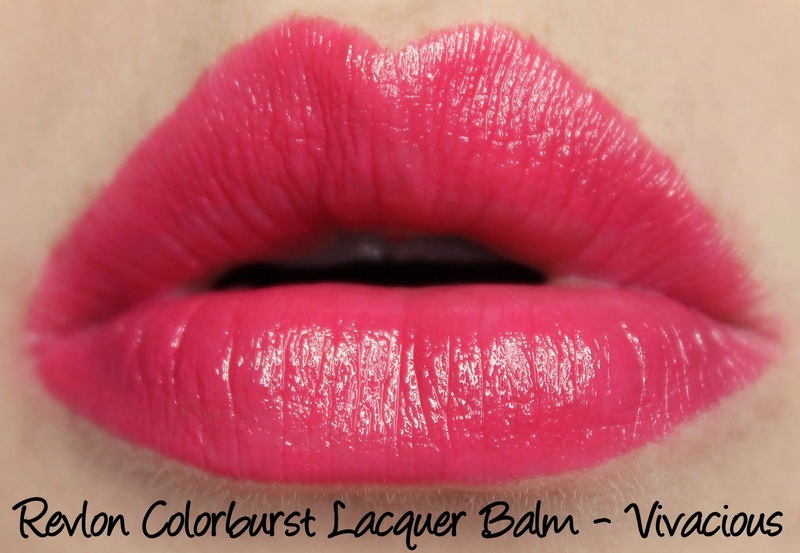 Vivacious is from the Lacquer Balm range and is a glossy medium coral-pink with fabulous colour pay off. It glides on easily without emphasising texture and lasts for five hours with a very small amount of feathering. I found Vivacious to be a little hydrating. 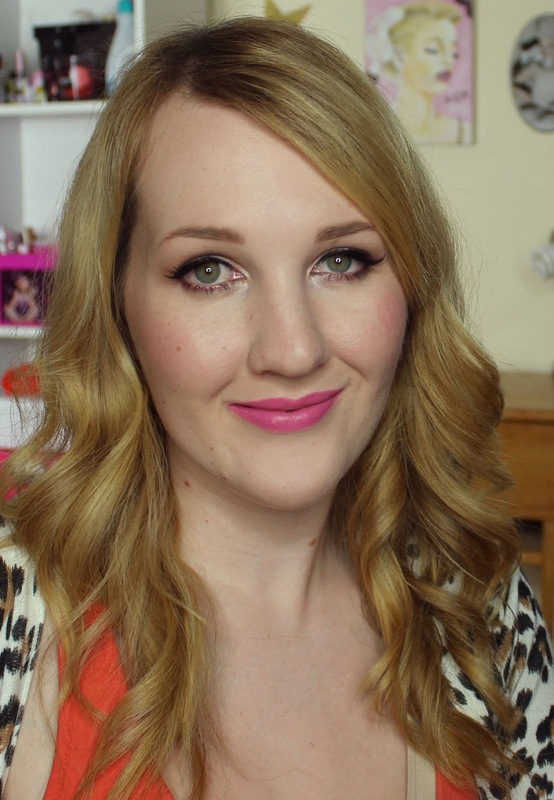 Showy is the Matte Balm in this set. It's a cool toned light-medium pink with a white base that makes it look a tad chalky when first applied but it soon warms up on the lips and the colour becomes less stark. 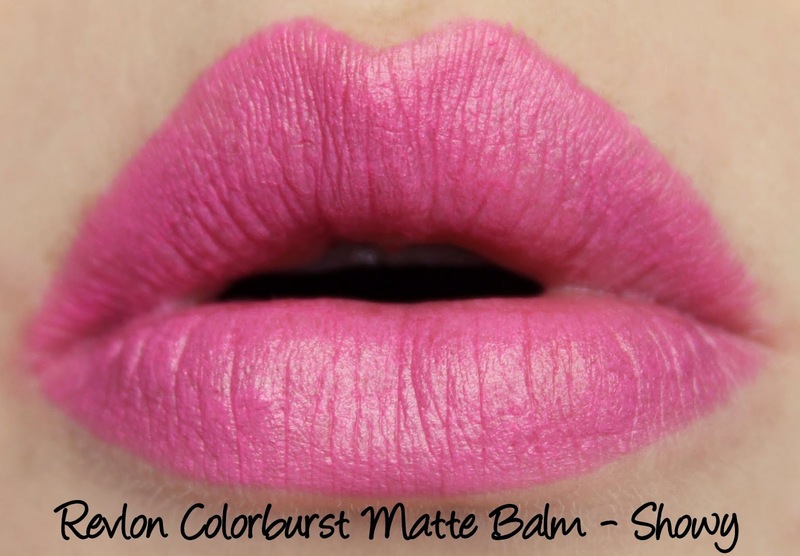 I found that the matte finish of Showy emphasised dry patches somewhat, so get that lip scrub out before application! Showy wore for three hours on me and was neither hydrating nor drying. Did you pick up this set? 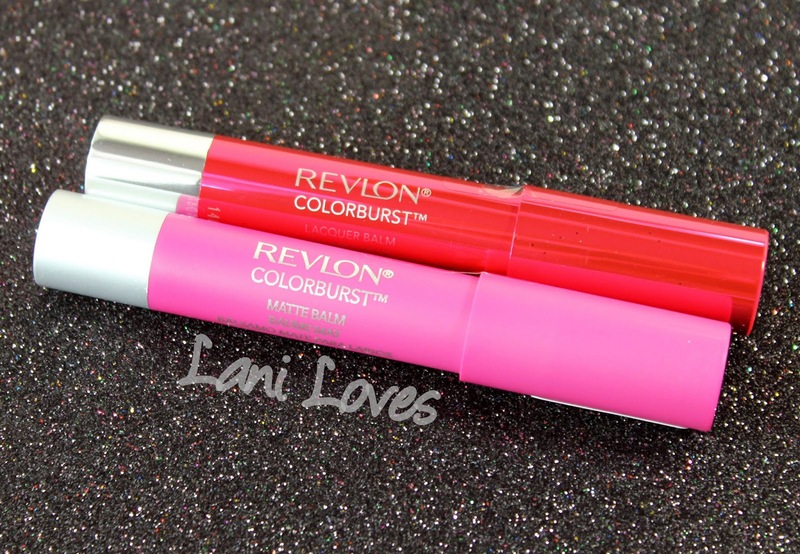 What do you think of the Revlon Colorburst Matte and Lacquer Balms? omg Showy is gorgeous ♥ I didn't even know these revlon sets exist, I mean I have seen the whole set of 5 but never the duo! I'm so upset with myself for missing out on these holiday packages. These shades look so pretty on you! These were such an awesome deal! I grabbed the five pack one too before Christmas.